The Lightning II practices a British-style carrier takeoff at Patuxent River. Because the F-35B Lightning II fighter will be used by different services in many different countries, it’s had a long list of capabilities to demonstrate during its years-long test program. Last Friday at the Naval Air Station in Patuxent River, Maryland, the STOVL (short take-off and vertical landing) version of the fighter checked off another item on the list: its first ski-jump takeoff. The shorter UK carriers feature an upward-sloped ramp at the bow of the ship. 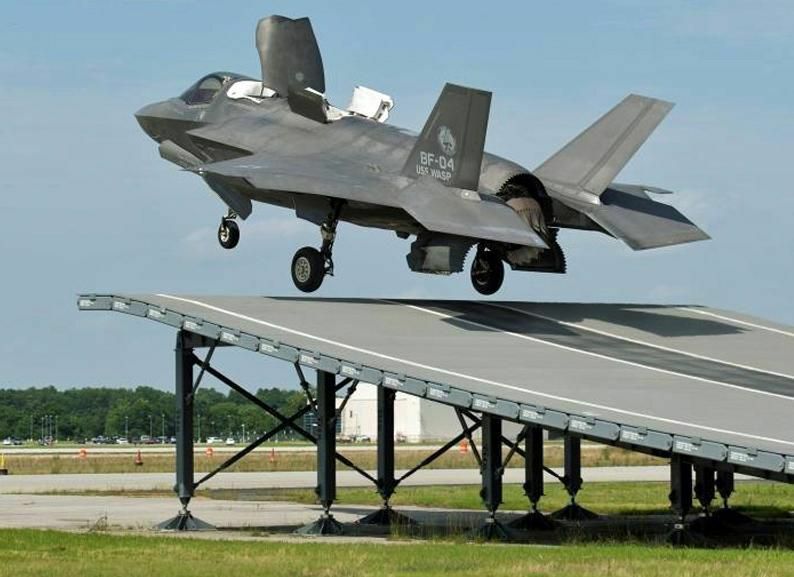 Curved at its leading edge, a ski-jump ramp simultaneously launches aircraft upward and forward, allowing aircraft to take off with more weight and less end-speed than required for an unassisted horizontal launch aboard U.S. aircraft carriers.